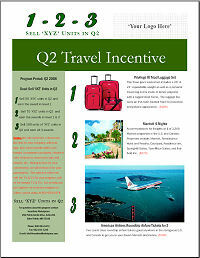 We help you put together quick incentive programs yourself based on your budget. 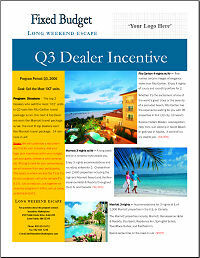 Click to view/download our sample incentive programs with pricing. For those who need to know exactly how much the incentive program will cost based on their budget. Nothing motivates like travel. We have travel options for all budget ranges and a number of award earning structures to choose from. 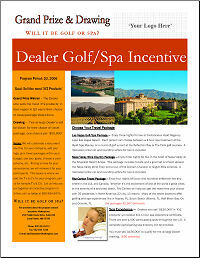 Our most popular format, participants control their own fate in these incentive programs. 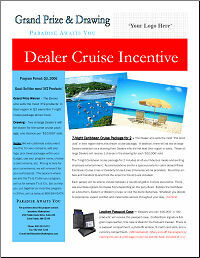 For those with a limited budget, a grand prize incentive program can stretch your budget. 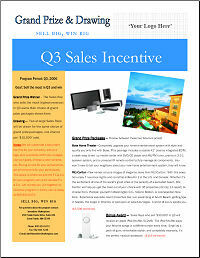 This fun and engaging earn-as-you-go format incorporates a theme to add to the excitement of the incentive program. you ONLY pay when your goals are attained. We build custom award catalogs based on your budget. No start-up costs or production costs for the award catalog. Perfect for safety, employee, and holiday awards! 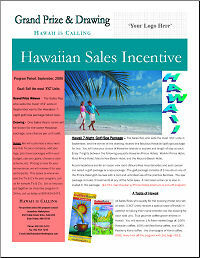 Click above for expanded summaries of all of our incentive program types. 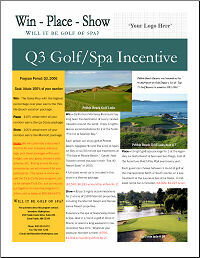 We create promotional materials for you like these based on your budget, incentive program format and incentive theme. Call us today to put us to work for you! 800-934-5474. > How Much Should I Spend? 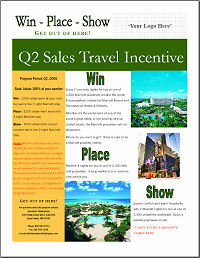 Nothing rallies the troops like a motivating travel incentive program. Everyone can use a vacation or a long weekend away. No more worrying about trying to figure out what is the right award for everyone. We have travel options for all budget ranges and a number of award earning structures to choose from. 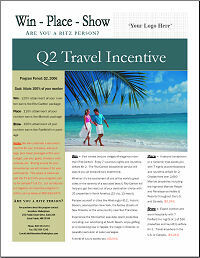 Below we have sample travel incentive programs in different award earning structures complete with pricing. We will customize these documents for your audience, pick travel incentives within your budget, add your logo and program rules, etc. We will then have these professionally printed to kick-off your program in style and with quality. 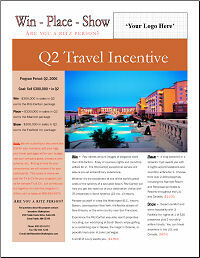 Click on any of the eleven thumbnails below to view/download these sample travel incentive programs with pricing. 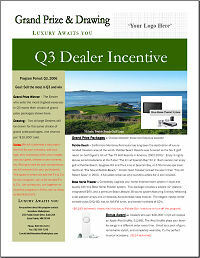 Contact us today at 800-934-5474, or Info@IncentivesMarketplace.com. Our program design pros will show you what others have successfully done and help you put a travel incentive program together in 24 hours.